Starting next week, the top administration of St. Kitts’ finest will be undergoing a major shuffle, leaving citizens to wonder just who is running the force. 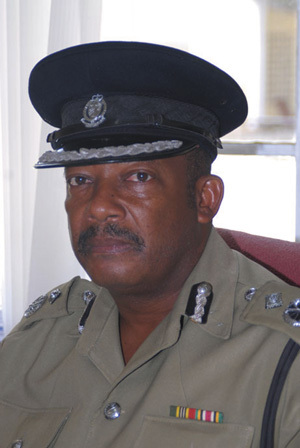 According to sources inside the ranks, Stafford Liburd, the current Acting Commissioner of Police (CoP) will be taking a month-long leave in a matter of days after which, Assistant Commissioner Austin Williams will assume the role. Liburd took the reigns after Deputy Commissioner Meredith Charles went on ‘long leave’ following this in the acting position. During Williams’ interim as head of the force, his previous duties as Assistant CoP, will be performed by head of the Nevis Police Department, Superintendent Joseph Liburd. Inspector Samuel Seabrookes is said to have taken over the top position in Nevis. In the mean time, the role of deputy commissioner will be assumed by head of the Criminal Investigations Department Superintendent Joseph Richardson. It is rumoured that present CoP Robert Jeffers, will be retiring from the force and that Williams will be officially appointed to the position. With the top three posts in the force seeming so erratic, citizens are questioning the effectiveness of the force’s operations. Minister of National Security Honourable Dwyer Astaphan recently said ‘a new commissioner of police would be named shortly’. Until that time, it is unclear as to when these positions will be occupied in an official capacity.